← Progress of the Seasons Journal: 28 April, 1832-1862. Progress of the Seasons Journal: 29 April, 1832-1862. Trout Lily, Dutchman’s Britches, and Blue Cohosh in full swing here in Hawthorne Valley. Here is the historical phenology report from the ‘Progress of the Seasons Project’ (hvfarmscape.org/seasons) for 29 April. Or, at least, “somewhat about horses”. Andre Karwath’s Wikipedia’s photo of Mare’s Tail. Looks a bit like Horsetails, eh? “Mare’s Tail” shows up, for the first and last time in our records, as flowering on this date in 1844 at North Salem, Westchester County. 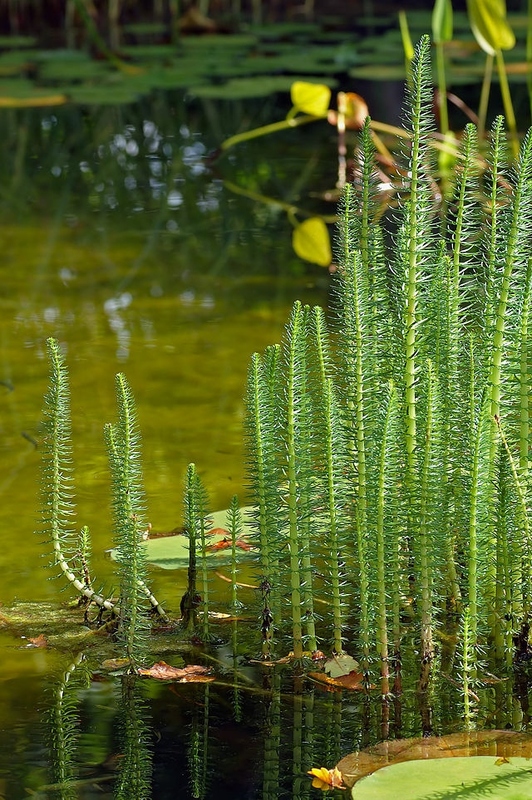 As the attached picture (courtesy of Wikipedia – we’ve never seen it) shows, this aquatic plant looks quite a bit like the similarly-named Horsetails. However, Mare’s Tail is a good old flowering plant, in the Plantaginaceae, the same family as the Plantains (the weedy sort, not the banana-like ones) and Turtlehead. 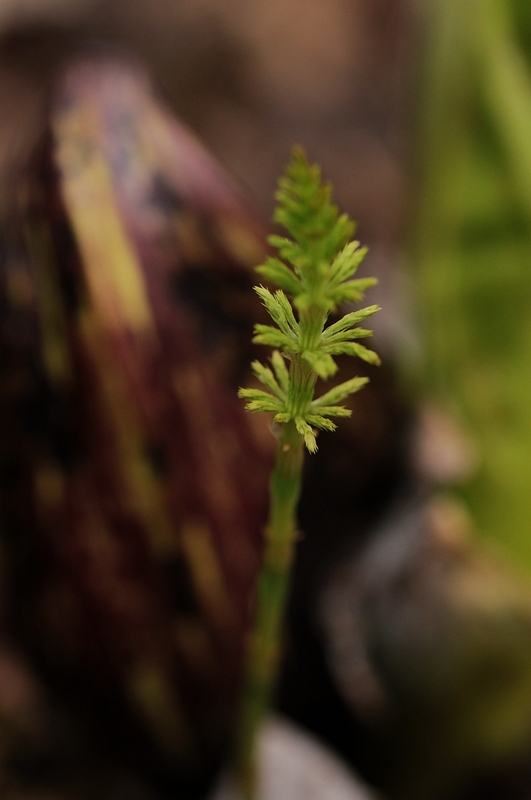 Horsetails (aka Equisetum) is not only a distinct family but also a distinct phylum. In other words, aside from being fellow plants, Mare’s Tails and Horsetails have little in common. So that was very much about horses. Associating Barley with horses, on the other hand, is a somewhat less convincing stretch for the sake of a headline. Of course, the allusion is to Barley as horse feed. However, this may be truer today than at the time of these records. Sure, it was sometimes fed to horses, but oats was apparently the preferred food, and the primary commercial use of Barley was in brewing. True Horsetails as recently seen sprouting in a nearby wetland. As alluded to in a 19th century song about life on the Erie Canal, barley was a staple cargo, “We were loaded down with barley/We were chock-full up on rye.” (with the double-entendre certainly intentional). An 1834 newspaper article proclaimed that “Two-thirds of all barley grown in the United States is believed to be marketed in Albany,” and much of that came down The Canal, which, coincidentally or not, crosses Onondaga County, the source of our Barley record. Apparently, Barley Beer’s initially topped hard cider in early American brewing history – it was quicker to grow a field of Barley than raise an Apple orchard! 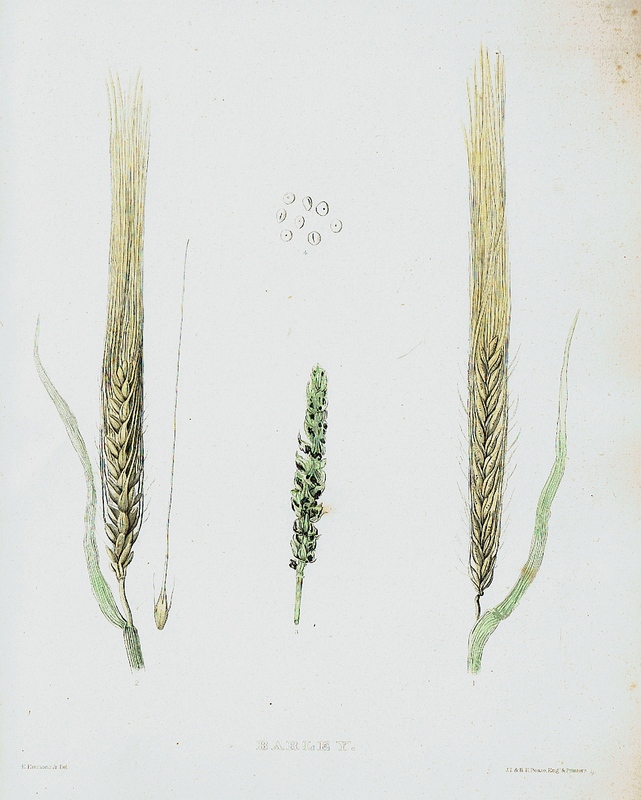 Barley as pictured in Emmons’ 1849 book on NYS agriculture. 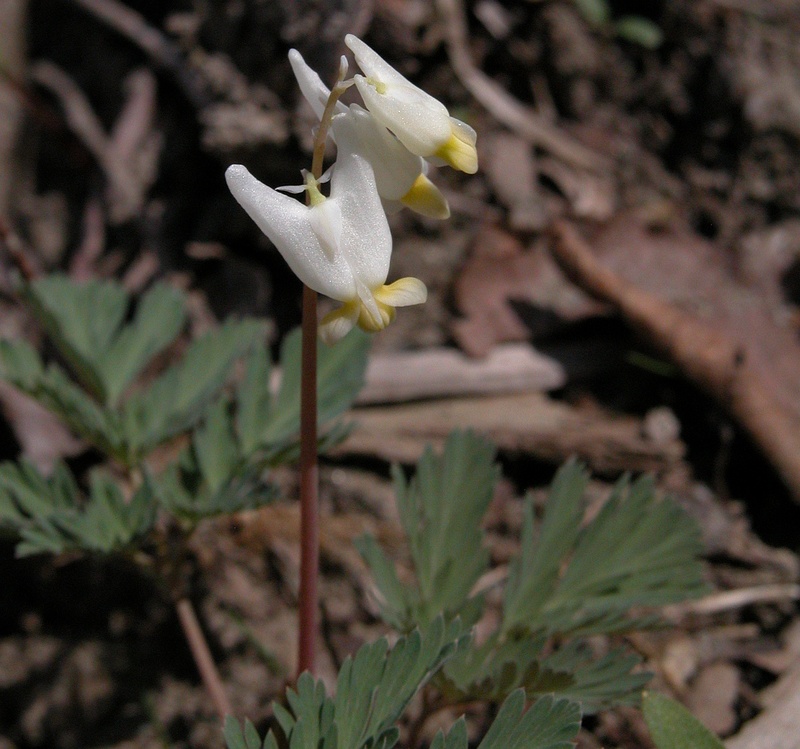 Herbs: Windflower bloomed in Amenia, 1849, and in 1853, Spring Beauty in New Lebanon. 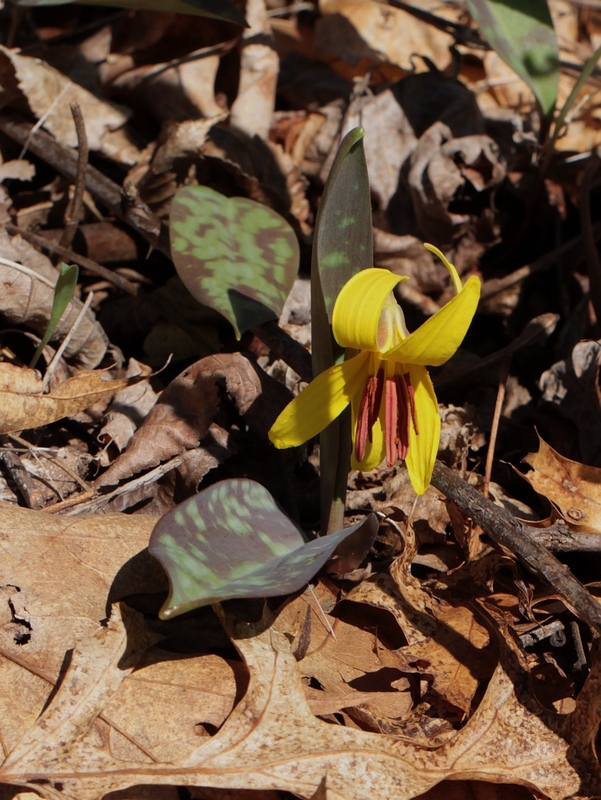 In both the historical and current phenology, Trout Lily is widely in flower. Woodies: Spencertown reported the flowering Red Maple in 1856. Birds: The Whippoorwills have arrived in Fishkill Landing on this day, 1859; Swallows observed in Spencertown in 1856. Agriculture: In 1846, Kinderhook observed its year’s first Plum Tree flowering; Poughkeepsie reported the same in 1832. Herbs: Singular reports for a variety of flowering specimens included: Common Mare’s Tail, Hyacinth, Hepatica, Skunk Cabbage, Ground Ivy, Daffodil and Crocus. Woodies: White Ash, Tulip Poplar, and Basswood reported as in leaf; Lilac and Shadbush flowered. Birds: Swallows first observed in four reports. Other Critters: In 1847, supposedly the year’s first Katydids heard in Mount Pleasant. However, this seems way too early for Katydids – a typo? Some other sound? Agriculture: Four locations each noted blossoming Currants, Cherry, Apple, and Strawberry; Peaches blooming noted three reports. Less abundant were the Plums, Pears and Gooseberries observed flowering in just one report each. Agriculture: In Kingston, 1802, the year’s first Currant was observed in leaf. Woodies: Red Maple in bloom noted in two reports. 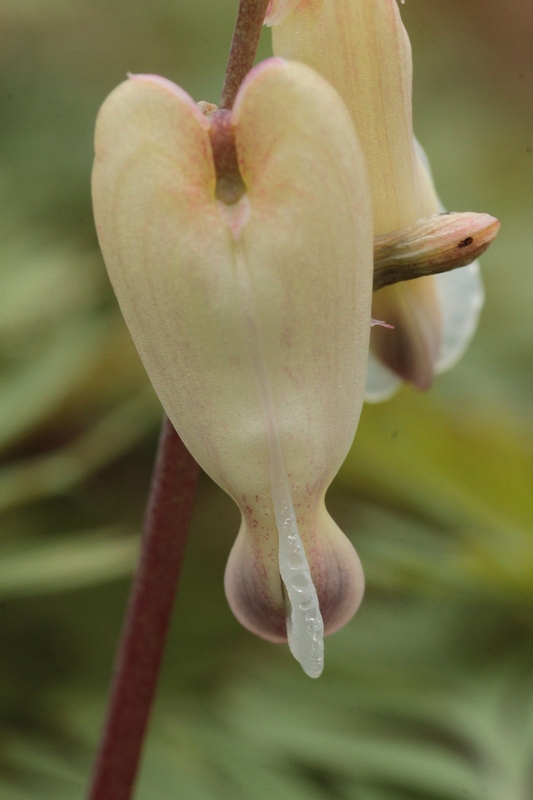 Dutchman’s Britches (or Breeches) is currently flowering in the neighborhood. It is also showing up in the historical records, usually under the name “Cuckoo Flower”. Herbs: Flowering Trout Lily and Saxifrage observed; Wild Strawberry in leaf. Birds: In four reports, Swallows arrived. Agriculture: Flowered Currants first seen in four reports, blossomed Plum in a single report. Herbs: A single report of flowered Dandelions. Dutchman Britches’ near relative, Squirrel (or Turkey) Corn. This is a rare plant that, here in Columbia County, we know from only a few sites. We have not yet seen it in bloom this year, although it may well be. Birds: Year’s first Swallows appear in Oswego County in 1857 and 1869. Other Critters: Frogs croaking first heard. Agriculture: Red Currants observed in leaf. Herbs: Blossomed Tall Windflower and Daffodils. Woodies: Sugar Maple and Red Maple noted as flowering; one reported Red Maple in leaf. Birds: Three reported first arriving Swallows, one report of Martins. Agriculture: Reported Strawberry, Plum and Apple in bloom; Barley first sown. Herbs: Blossomed Two-Leaved Bishop’s Cap. Woodies: Reported Sugar Maple in leaf and Elm in bloom. Agriculture: Apples, Cherries and Peaches flowered. Agriculture: Currants and Peaches reported as flowering. Agriculture: Strawberry and Currants first seen blooming in Fredonia. 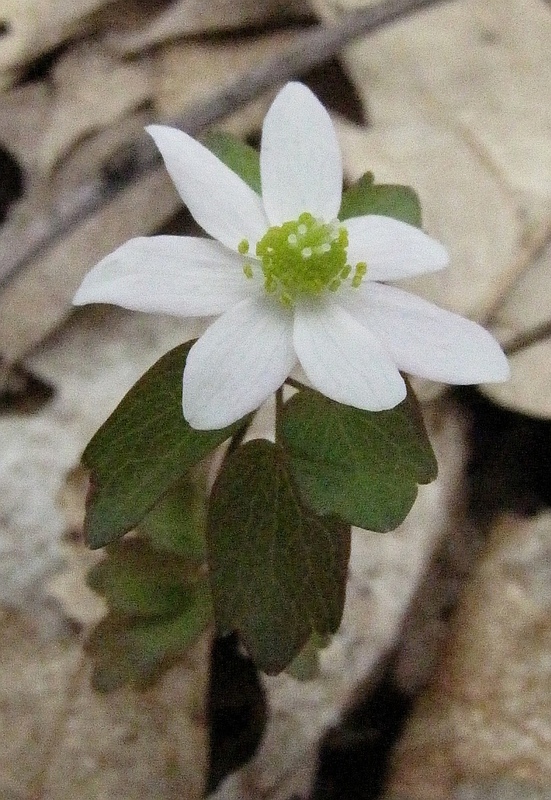 The light-bodied Rue Anemone is now flowering in the woods of 2015 and 175 years ago.